At the event, you’ll find over 20 of the area's best restaurants & food purveyors dishing out a variety of $3 tacos (sold separately). There will be bars and beverage stations serving margaritas, tequila flights, ice cold beer, water, soda & more. All taco items will work on a voucher system – there will be various voucher stations throughout the festival & all vouchers will be used as cash. Additional vendors will be on hand to sell other food (cotton candy, cakes, desserts etc) as well. Multiple ATMs will be on site & strongly encourage cash sales at voucher stations. We have listened to all our awesome fans & will be bringing in some amazing additions for this years festival including – Shaded tented areas, More seating & eating areas, Even more mouth watering Taco vendors, a giant VIP party tent (VIP tickets only),, Express entry (direct entry into the festival with little to no wait), Kids fun zone including bouncy houses & activities, Prizes, Giveaways & more! - Commemorate VIP gift bag with bottle of hot sauce, giveaways & bragging rights ? The Festival will utilize a Voucher System for ALL food related items and beverages (both alcoholic and non-alcoholic beverages). Vouchers will be universal for both food and or beverages. For prompt service, All voucher booths will be CASH ONLY with ATM’S located inside JACK Thistledown Racino and at the festival grounds. Voucher stations will be located throughout the festival and will be $15 for a sheet of 5 vouchers. 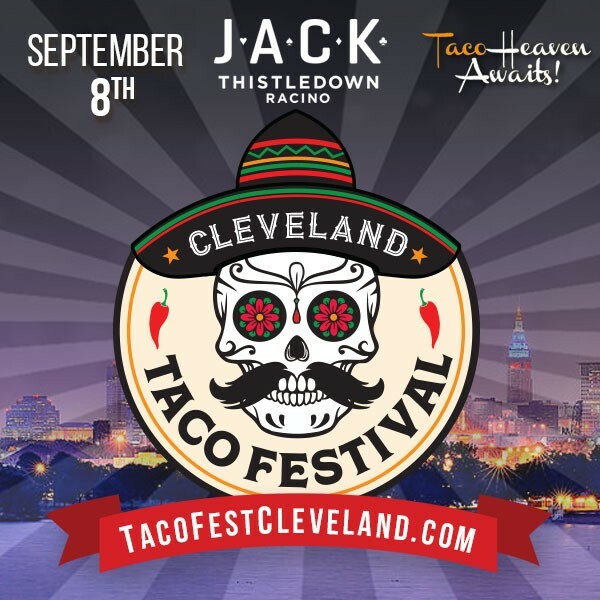 *All tickets purchased for The Cleveland Taco Festival by phone or online are final. We Do Not issue refunds or exchanges & this is a Rain or Shine Outdoor event.